Though I'm too busy to watch The Talk live, I try to squeeze in some time later in the day to enjoy the comments made by these five outstanding women from different backgrounds. This is another show about current events many of the topics of interest to me ... while others I just fast-forward ... such as the prize giveaways and cooking that has been reduced from daily segments to once a week. Funny ... Sharon Osbourne has lost ... a ton of weight ... her fake finger nail while cooking ... her ear wig ... a dental implant while talking ... and at times her mind which she is honest about. Her opinions are always spot on. 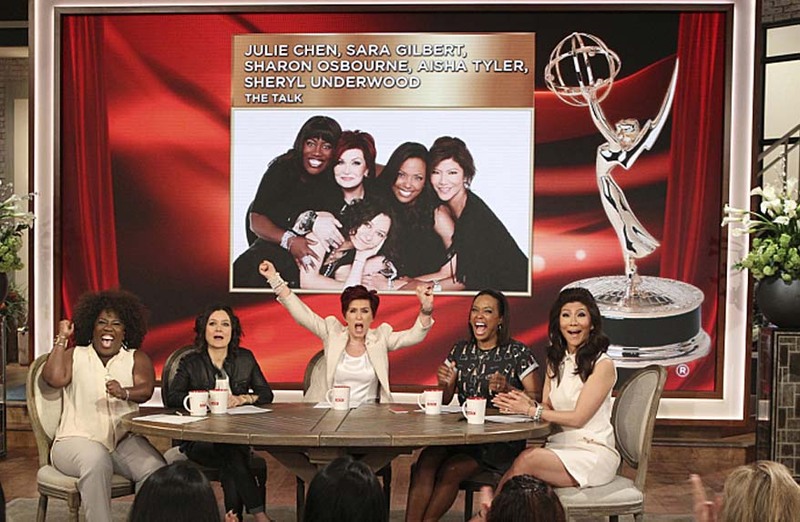 Today the ladies introduced other winners of Sunday night's 43rd Daytime Emmy Awards.